I was recently asked to sit on a panel aimed at creation of jobs from clean technologies in Texas. I don’t really think about job creation as a VC’s job but I do believe that early stage and startup companies drive the economic growth of the country (see Kauffman). So, my thinking was to talk about what a state can do to create more startups (and let the jobs follow). 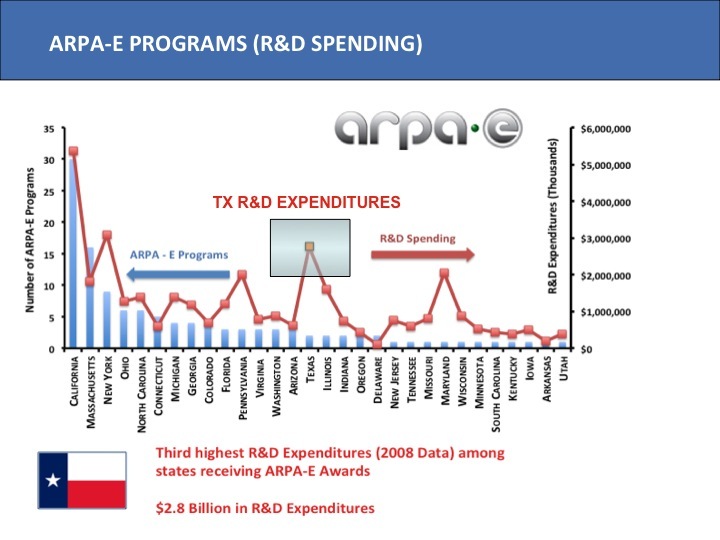 Dan Janiak, my colleague at DFJM, and I decided to do some analysis of federal funding of innovative energy technologies as one proxy for startup activity in the state. The results were surprising. What we don’t know is how many applicants there were. It is hard for the DOE to award funds when there are no applicants. 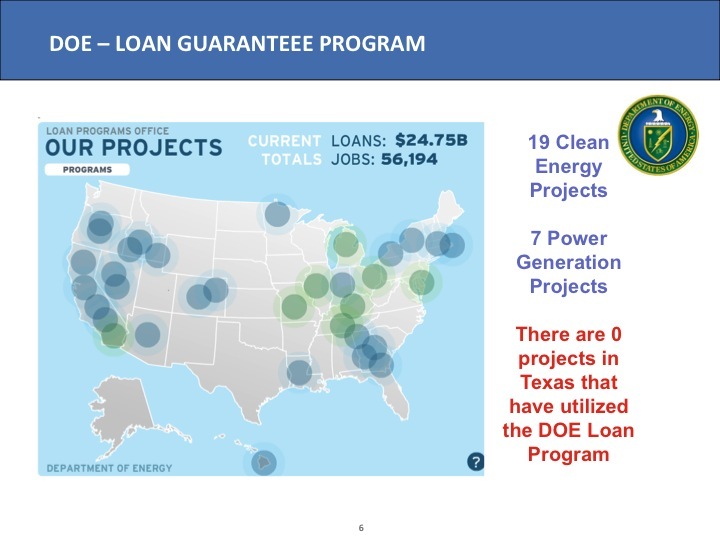 However, if one believes that there should be a correlation between DOE fundable companies and prior clean tech venture capital investments, Texas should be winning more federal dollars. 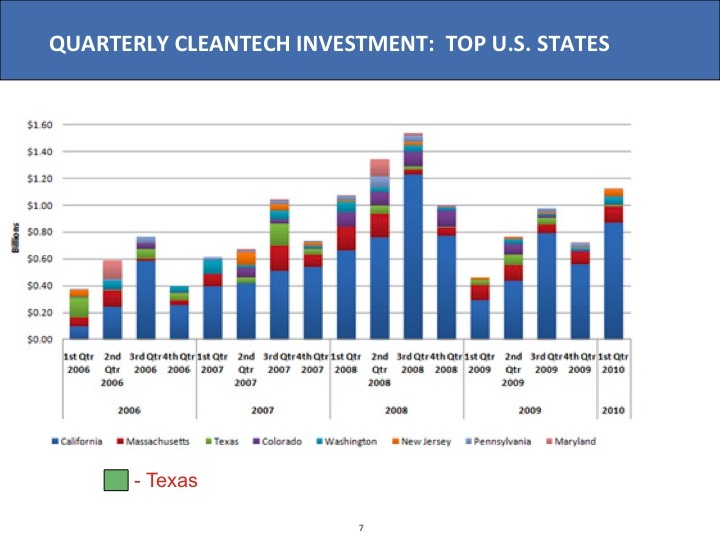 Texas not in the lead but is always one of the top recipients of VC dollars outside of California and Massachusetts. So, what is the explanation? Honestly, I don’t know but I’d like to look at this as a glass half full opportunity to get more capital (and thus more jobs) into a state ecosystem. 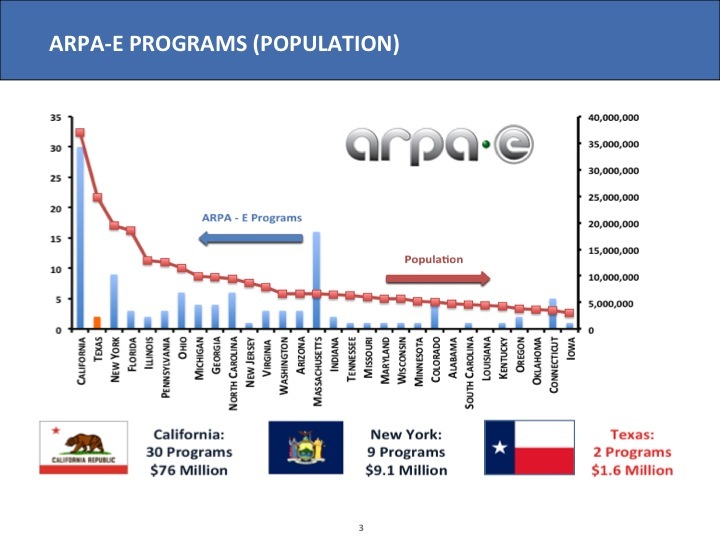 It would be relatively easy for the state (any state) to create a “special forces” team to pick 10-20 promising early companies and work with them to build out relationships with key funding agencies, coaching them on everything from grant applications to PR. Second, simply in terms of company creation, a state should be able to flex it’s muscle as a market place to create innovative companies that can first sell there and then elsewhere. State’s can dictate where buyers like universities and state agencies source energy and clean technology solutions – why not set aside a small percentage of purchases for “Made in [Texas, Michigan, Illinois, Wisconsin, etc.] to help local startups get off the ground?